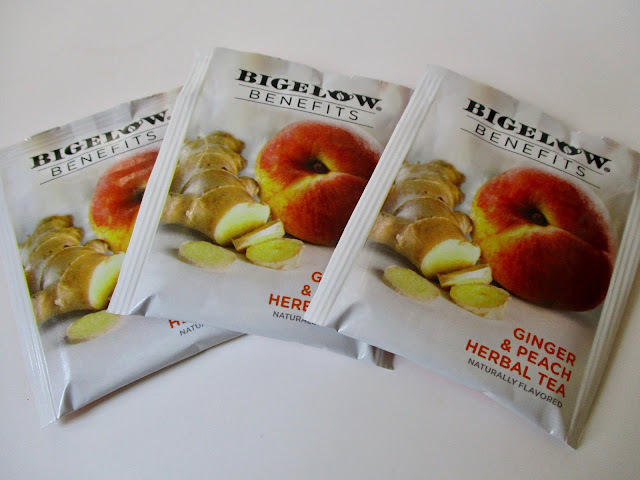 Have any of you come across the Bigelow Benefits teas at the grocery store? I spotted their Ginger & Peach Herbal Tea and decided to give it a try. As always, one of the selling points of Bigelow's teas is that they are packaged in those nice, thick foil packets! I've had several cups of this new tea and am enjoying it very much, but I must say that I was not expecting peppermint (which I happen to love) to be such a prominent flavor in a tea labeled "Ginger & Peach." I do detect a little kick from the ginger, but I'm not getting much peach taste at all. Still, this tea is so enjoyable with the mint and ginger that I'm sipping it right up. 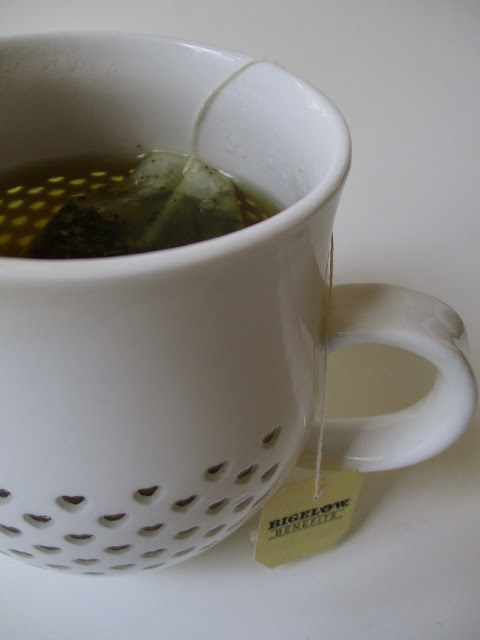 If you've tried this one or another in this line of teas, I'd love to hear your review! I haven't seen this one but it sounds good. I do love peach tea but I love peppermint, too, so it would be worth a try. I'll keep my eyes out for it. I'm afraid peppermint, ginger, and peach do not sound like an appealing combination to me! 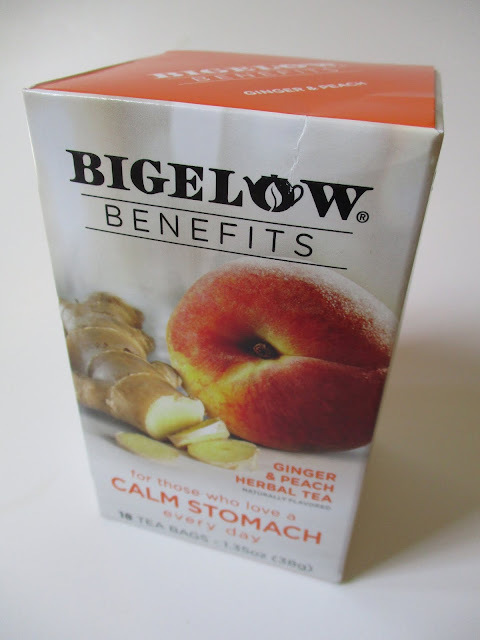 I haven't tried any of the Bigelow Benefits teas, but I did buy a box of their "Lemon Ginger + Probiotics" tea. It was rather insipid, without a strong ginger or lemon flavor, so I wouldn't recommend it, unless you like weak-tasting teas. I prefer my tea to have a stronger flavor. Sounds fascinating for an evening sleepy time tea. I don't keep blended teas in my collection of teas, but occasionally when I go out for tea I have been know to order black tea with ginger/peach. I do enjoy that blend then. I bought the Turmeric Chili Matcha Green Tea Bigelow Benefits yesterday. It is not what I expected. The Nettle or rosemary flavor is pronounced, reminds me of sage. There is a mild behind the scene taste that I assume is the chili. It is not spicy. An announcement about … my first novel! Some terrific ideas for mailable tea gifts! November Giveaway: Talbots Teacup Socks!